Adrian Crofton is a GP Trainer in one of our training practices in Aberdeen. 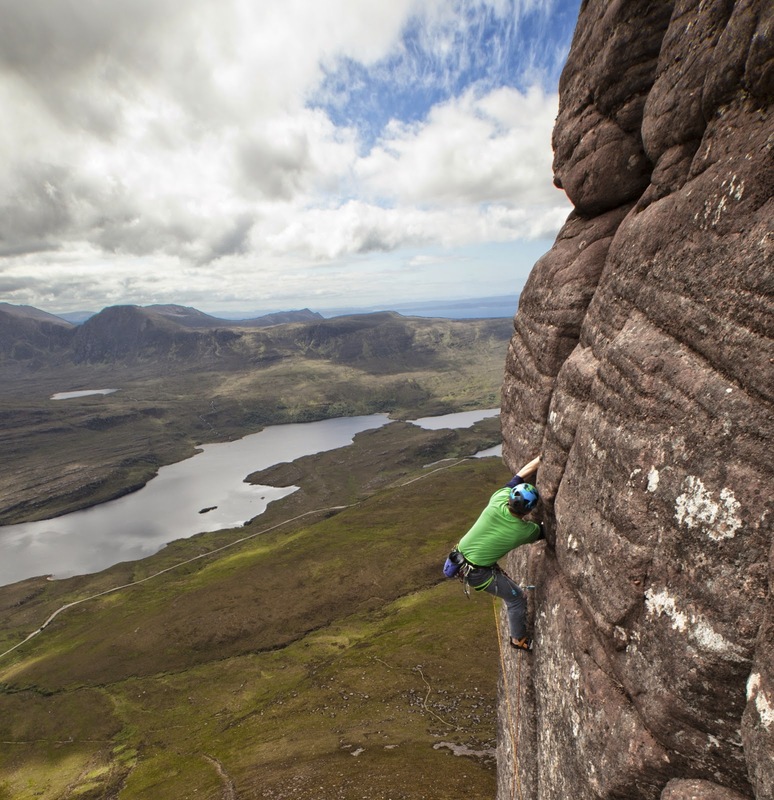 Here he talks about how he decided on a career in GP and how he now balances that career with his home life and his love of climbing in Scotland. A lesson for us all. My own particular Damascene moment came when early one beautiful summer morning; after a particularly long and arduous nightshift in the Neonatal Unit I spent the entire ward round looking longingly out of the window knowing that all my pals would be out on the hill that day, whilst I had a week of nights to look forward to. As the week went on I heard news of perfect dry conditions on all the country’s biggest cliffs, of brilliant climbs completed and first ascents made. Each evening I got up to work and each morning I returned to my bed shutting the curtains on the sunny day outside. I had hoped that my career in academic paediatrics might absorb me totally, but having been a climber for nearly twenty years almost all my closest friends were climbers, and the impulse to climb was impossible to suppress. Eventually you are forced to recognise the core elements of what makes you you. I loved my work, but friends and family could see that the forced absence from the hills was making me miserable. After seven years, it was time to make a radical change. I looked at general practice as it offered a more predictable life - instead of waiting till the day before to see what my rota would be for the following month, I could plan, make arrangements with friends and family, and choose what anti-social hours I wanted to work. After spending some time with a local GP in his surgery I was reassured that this was truly interesting and worthwhile work. I’ve never regretted the change; it was absolutely right for me, and my family and I are much happier as a result. I am doubly lucky as I am also able to pursue my paediatric interests eight years after moving into general practice. So, what do I now do for a living? Well, I work a four day week - Monday to Wednesday and then I have Thursday free before returning to work on Friday when I also do an outpatient clinic at Sick Kids. Working on a Friday means I am able to catch up on patients and outstanding investigations before the weekend. I am also a GP trainer so this allows me to catch up with my trainee on the Friday. They are often four quite long days - especially Monday, and also Wednesday when twice a month I do a late surgery which ends at 1930. I start between 0730 and 0800, and finish between 1800 and 2000. I live a few minutes walk from the surgery which helps as I have no commute. The work of a city centre GP is very steady, and you often find that you are busy with correspondence / meetings / administrative stuff over lunch. At home I have two kids, one at secondary school (right next door to the practice as it happens! ), and one just finishing primary school, and my wife is a consultant Old Age Psychiatrist at Cornhill. We all walk to work / school and the city centre is also only five minutes’ walk. In addition I have some other clinical and teaching interests related mostly to Child Health, but these are much more flexible and negotiable. As a climber much of what I do is weather-dependent. All things being equal my over-riding aim is to be climbing in the mountains on days off, however, other commitments and the weather often conspire to frustrate me! However, because of the relative flexibility afforded by having three days in the week to play with, I can usually get out and do something on at least one day each week, and still have time for family, as well as getting mundane things like car repairs etc . Aberdeen is very well-suited to the outdoor enthusiast: there are a lot of keen climbers, cyclists, paddlers and skiers here with good networks / clubs so that partners are usually easy to come by. There is a great climbing tradition in the city, which over the years has produced many well known pioneers for over a century. It is drier than the west coast, and there are more reliable winter conditions in particular than anywhere else in the country. On my days off I have climbed as far away as Torridon, Ben Nevis and even Skye, often by leaving the night before and sleeping in the back of the car, in huts, camping or staying with friends in Ullapool, Fort William or elsewhere. Most days, however, are spent around Deeside or Donside. 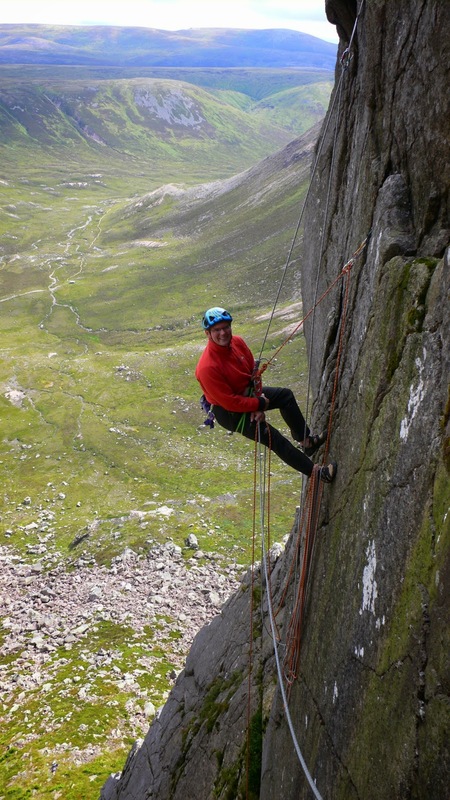 For rock climbers there is a wealth of climbing on the sea cliffs to the north and south of Aberdeen, as well as inland at Ballater, in Dunkeld and at a number of other venues. On wet days I have kayaked the Dee and the Tay, and hope to paddle the Spey and Don soon. Cycling - on and off road - is something I have enjoyed increasingly in recent years especially with my son who is a keen mountain biker, and there is a wealth of quiet roads in the hills here as well as some good cycling clubs. Local events I have enjoyed in recent years include The Snow Roads audax and the Etape Caledonia. (I have since discovered there are lots of cycling doctors in the region! ) The area is also great for MTB with wild tracks and dedicated centres springing up all over. But for me it is in the winter that the area really comes into its own. For skiing and winter climbing there is no better city in the country, I would argue: a short drive up Deeside gives access to the Eastern Cairngorms, and slightly further via Dufftown lie the Northern Cairngorms. Lochnagar, Creag an Dubh Loch, Beinn a Bhuird, the Shelterstone, as well as the ski stations at The Lecht, Cairngorm and Glen Shee. In a good winter you can nordic ski in the forests, tour the peaks, or just blast the pistes. If you are feeling more adventurous as a skier there are countless steeper and scarier itineraries throughout these mountains. Even in a poor winter there is always some winter climbing or walking to be had. When weather is poor or time short because of other commitments, then there are two good climbing walls in the city and in addition a lot of climbing friends have their own training boards which I sometimes make use of. I would usually train twice a week, or more. Swimming is another complementary fitness activity that I find can be fitted in easily of an evening, especially since I started open water swimming in the mountains. I can only think that upper Tayside, Aviemore, Fort William and Inverness offer similar opportunities for a climbing doctor. 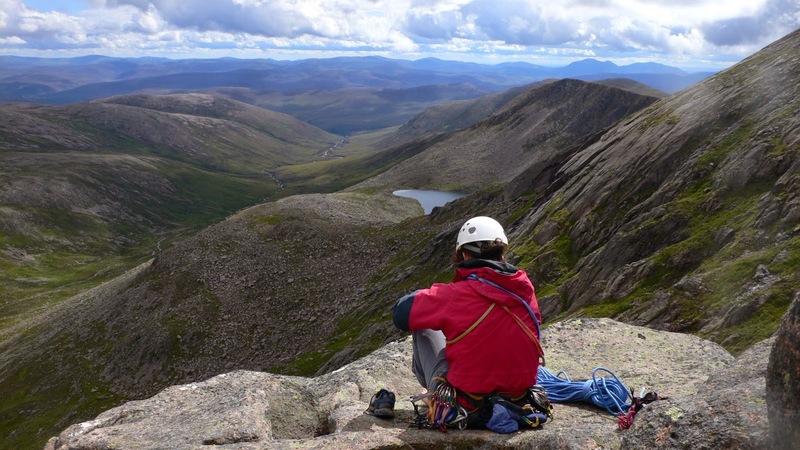 Working as a city GP is very busy, but I find the mixture of a demanding but rewarding job in a great supportive team, proximity to the surgery and hospital plus the great climbing scene here in Aberdeen all make for a great and most importantly, sustainable, work-life balance." And if all that isn't enough, he has just co-authored a book entitled "The Great Mountain Crags of Scotland", well worth a look.